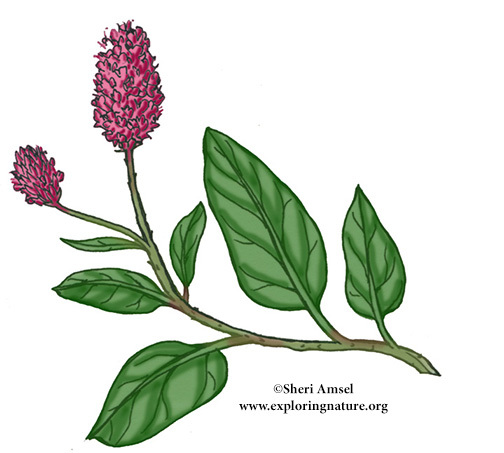 They bloom in the summer and fall in wet soil and in the shallow water of ponds. The tiny flowers are bright pink and bunched together in a rounded 1” long mass at the end of a stem. The leaves are smooth and pointed and the jointed stem can have a hint of pink.